SXSW 2019 is about start, fun! The event has long known as a music event and then film. Today’s SXSW has evolved into a huge convention and offers enormous venues among variety of fields. SXSW today goes beyond music and includes comedy, gaming, film and conference. The Interactive conference has grown tremendous amount and attracts businesses from all over the world not only technology but politics, health care and more. There is an obvious economic effect on Austin business. This is one of the reasons why Austin is elected as 2nd top tourist destination in the US. 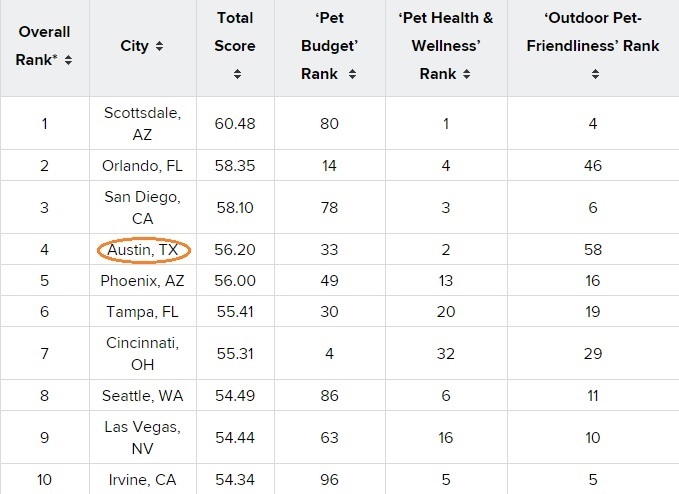 No wonder Austin is listed as the 4th in the states for most pet friendly cities in the States! Lots of off-lease dog parks, abundant nature with trails, dog friendly restaurants and retailers! Almost all apartments are pet friendly and you will notice all the water and treats for dogs on streets around town. So “dear property owners”, we sometimes get asked if we can advertise properties with NO PETS in our ads. Most responsible pet owners are very considerate. 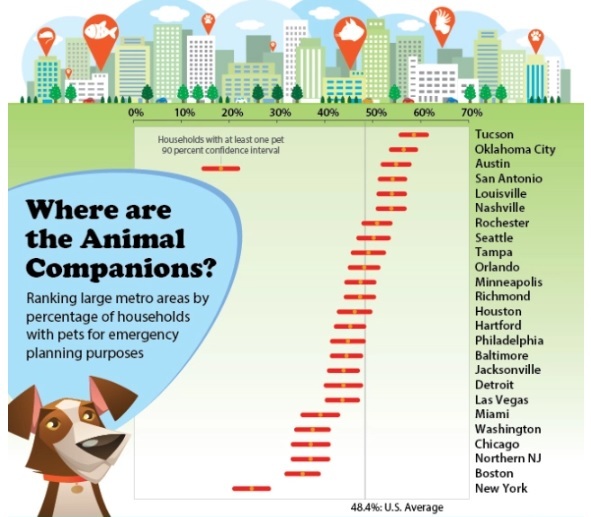 Close to 60% of households owns pet in Austin. Harmony likes to select tenants based on tenants’ history and would like to stay as pet friendly as possible. Amazon took more than a year to decide its new location and chose East Coast after all. On the other hand Apple has announced its new location overnight. This expansion in the NW Austin will create 5000 new jobs in the next 3 years, growing to have 15,000 new employees. Apple is expected to be the largest private company in the city. Austin currently employs 6200 people a couple of miles from its new campus. —–Austin seems to be over building houses and apartments at a moment, however we may be needing more quickly. Austin made to another top of the list in the United States. Horray! This is the 2nd year Austin is chosen as “Best place to live” in the US. Out of 125 metropolitan cities, Austin shines to be #1 based on affordability, job prospects and quality of live. CTCAR meeting hosted a special speaker, Steve Adler, Austin Mayor. He was very boastful of Austin. He describes Austin as follows. The Mayor supports Code Next. Affordability is becoming more serious concern as the city grows bigger. We will need to be the big city that supports diversity. This is how Mayor explains on the strategic housing plan. He also supports a Major League Soccer team coming to Austin. Announcement from 3 days ago was the MLS team, Columbus considering relocating to Austin. Austin is one of the very few major cities without a pro sport team.